WItness gets you help from your own emergency contacts when you need it most. If you’re afraid of ever being in a dangerous situation without any witnesses or good samaritans nearby, you might want to consider downloading this new app appropriately named Witness. Calling itself the ‘panic button for the smartphone age,’ one tap broadcasts live video and your current location to a list of preset emergency contacts, who can then decide if it’s appropriate to take action. Of course, if they do nothing, they could potentially have front-row seats to a very morbid and disturbing show. All joking aside, Witness can save lives if it’s used correctly privately. It’s hard to imagine a predator being thrilled if you’re filming him, but the tactic could be enough to scare him off. Before you can record or live stream anything, Witness requires that you set up the app first. This involves putting in your own name and email address, adding a list of emergency contacts, and granting the app access to your location, camera and microphone. From then on, whenever you open the app, you just press and hold the ring to start broadcasting. The moment you do, your emergency contacts will get a text message or email stating that you activated Witness with a link to view the video (live or recorded) and your location at the time. Witness isn’t the first app of its kind for help in times of danger. An app in Turkey called Easy Rescue allows women to call for help when confronted by an attacker just by shaking their phone so the attacker isn’t aware that help is already on the way. 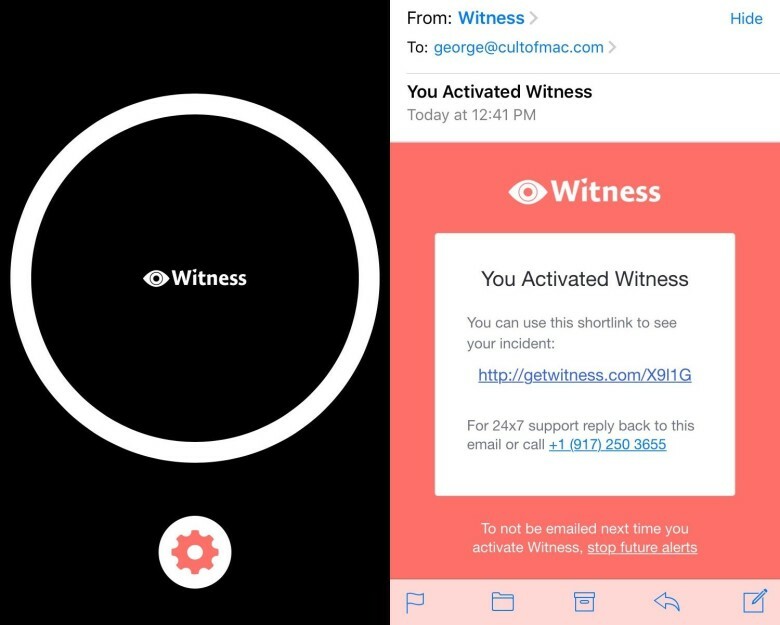 Hopefully apps like Witness will make police a little bit happier with iPhones and their tight security. Just use Witness discreetly please.